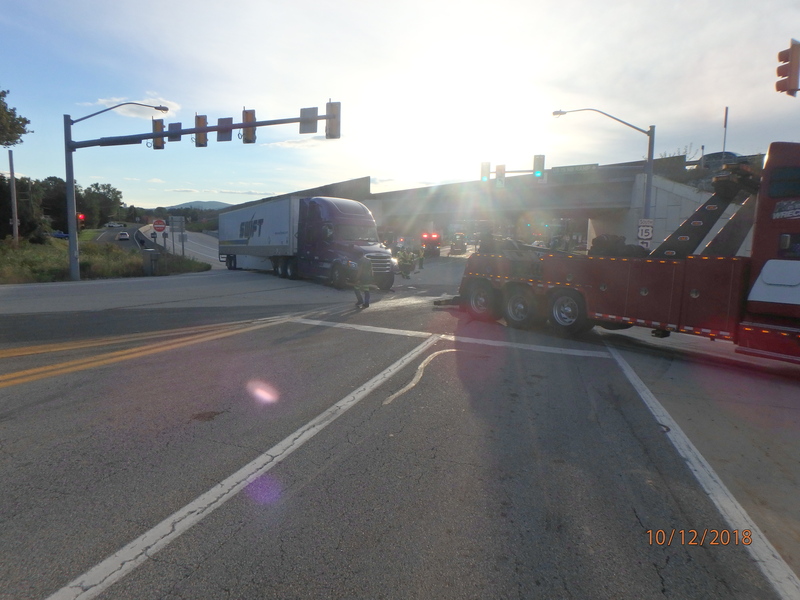 On Friday, October 12, 2018, Upper Allen Police responded to the intersection of W. Lisburn Road and the US Route 15 north off ramp. A tractor trailer, operated by Fergel-Merva, crashed on US Route 15 North at milepost 36.2 and then continued northbound along the concrete barrier until it came to rest in the middle of the intersection. The road was partially closed for several hours. The crash is still under investigation. Upper Allen Police were assisted on the scene by Carroll Township Police, Lower Allen EMS, Upper Allen Fire Department, Upper Allen Fire Police, Interstate Towing, and PennDOT.